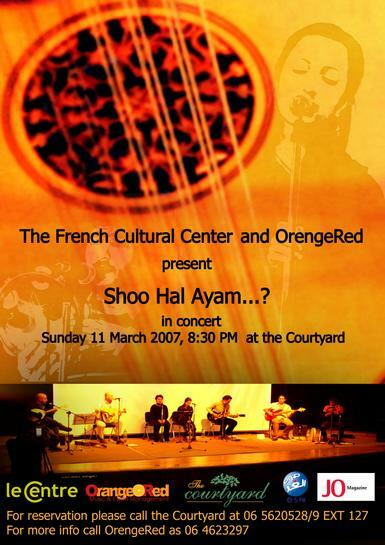 Please Join Us in Our Concert @ the courtyard, 11th of March 2007. Wishing to see you there. For quite some time Jordanian Credit Cards stopped working, I was trying to buy something through the Internet, but all this failuer emails are driving me nuts. Also a friend of mine was trying to buy some domains, and it failed too, well He and I tried 4 differant Credit Cards, a Visa and 4 MasterCards, until this morning, he discovered that he lost most of the domains, as someone else took them, well if you saw him, you would know how does he feel. Also it seems that Ammar is also suffering from the same problem. So is there anybody out there that could explain what the hell is going on. Or at least when this problem is going to be solved.